We will pick up a bus from Kyushu University Gakken city station ⇔ Ichiran forest for free so that more customers can enjoy "Ichiran no Mori". Please do not hesitate to make a reservation. 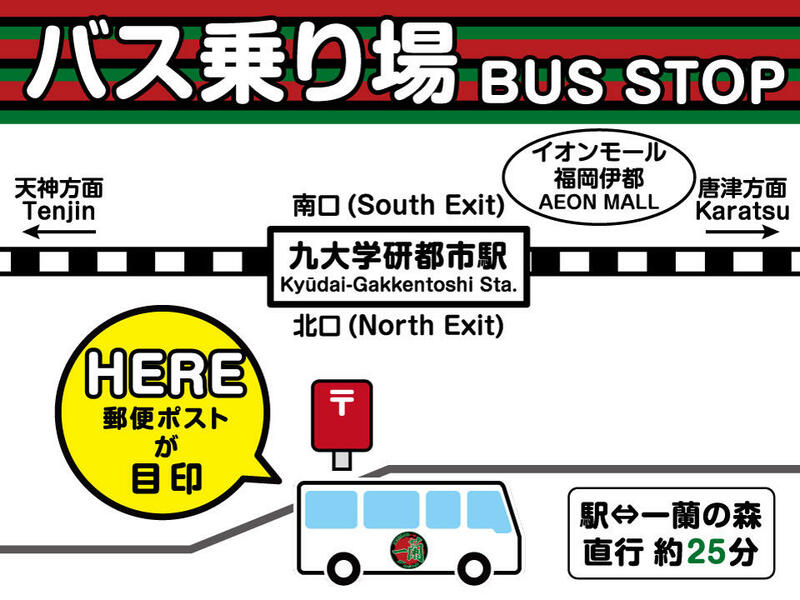 Please strictly adhere to the departure time for the return bus (Kyudai-Gakkentoshi Station bound).